One of the most frustrating things about curating right through the Arts Festival is that I get a lot of inspiration but there’s no time to act on it until quite a bit later. This year was no exception. Many people have commented that a lot of my pictures resemble fractals – and I agree with them because they do – but I’ve never set out to make a fractal picture before. I’ve chosen the pattern that’s found in trees, flowers, seeds and a whole host of other natural phenomena – a Fibonacci spiral of ever smaller images in a theoretically endless sequence. The key thing is that each image in the spiral is the exact replica of the same image at regularly diminishing or increasing scales. Producing an aesthetically pleasing picture that more or less follows these ideas has been difficult. 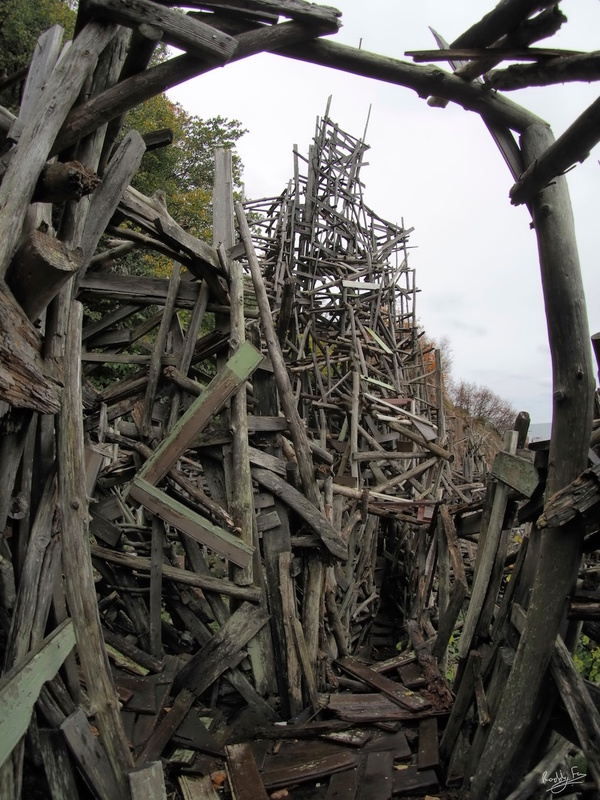 The problem is chosing an image that shows the spiralling nature in a dynamic way. The sequence I’ve made starts at the large image to the bottom of the picture and then rotates up to the top left, across to the top right and on down in a clockwise direction until it spirals out of sight. The base picture is from my Dryad series: where a mirrored image of a skeletal tree is projected on to Natalie’s back as she stands in front of a screen. Here’s a screenshot from Wikipedia showing the mathematics that the spiral sequence is based on. I added further copies of the whole picture into the cut-outs of her head so that she appears to be looking out of her own shadowed outline. Now I’ve finished working this out of my system it will be time for some more photography. I’m off to Sweden in a couple of weeks time where I’m sure to find some more inspiration from nature. Now the Arts Festival is all over and the dust has settled it’s time to share a few of my faces from the exhibition. My former student, Meagen, was a welcome visitor towards the end of the 11 day run. The eyes in the frame behind give a fun effect to her picture. The young woman with the tree earring came in one day and kindly agreed to pose in front of the Green Men pictures – Harry Owen pointed out that the Green Man appears to be looking back out at her! Outside every day was Desmond, , our friendly car guard, ready to greet you, help out and very much part of the scene. One morning I experimented with some new effects and did an overlay of two festinos studying my pictures as the light angled across them from the window. Then, in the last picture, I had a chance to photograph one of the Rhodes’ Fine Art students (I’m afraid I don’t know her name), she is the red head who is posing in front of the aloes. It was opportunistic but I think I’ve got some nice pictures and they bring out the memories of #NAF17. 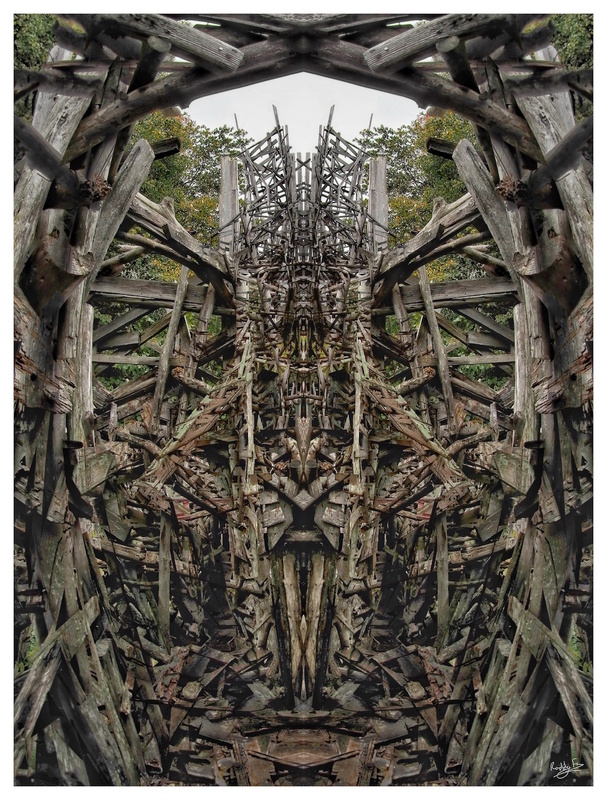 Here’s the complete catalogue of the photographic artworks for my Symmetry exhibition. Click on the images for a full-sized view. If you want to purchase, or would like further information, please use the contact me form and I’ll respond to your request. Print orders take 24 hours and will then be couriered to your address: the price includes courier charges. I’m looking forward to seeing you at the Johan Carinus Art Centre. The exhibition runs daily throughout the National Arts Festival from 29 June to 9 July: 9am to 5pm. I thought it was fitting to have six pictures from my Grahamstown Winter Series in the exhibition. They are all taken looking north, into the low angle winter light, through the mist and smoke so typical of this time of year. One of the things I wanted in the exhibition was a small set of pictures that show off my love of harmony and beauty. The dryad series covers a whole wall and they’re quite dark. So I set about shooting some much lighter pictures with clean lines that can be simply mirrored. I’ve combined them into one mosaic image here but in the exhibition they are four separate pictures. 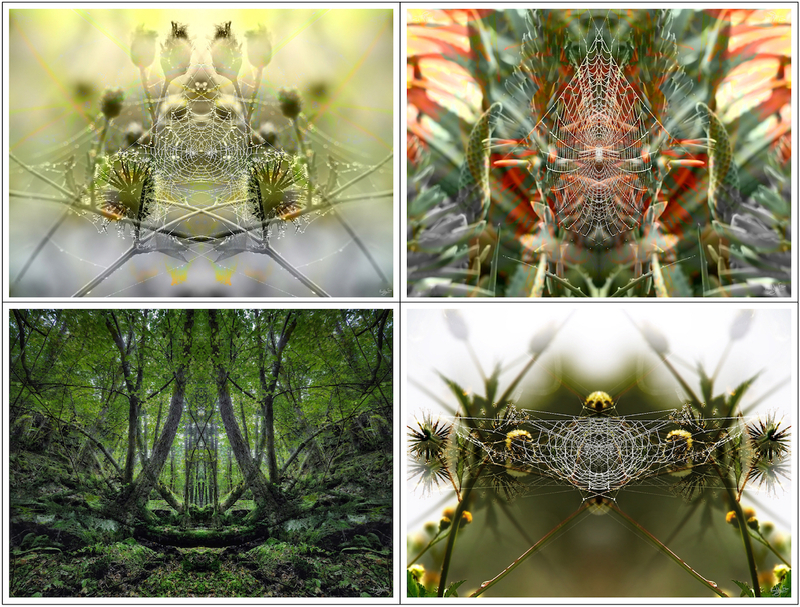 Three of these pictures are of spiders webs. The water droplets from the early morning mist pick out the graceful shapes of the webs in the cosmos and aloes. I think the lines give nice tension and balance: the backgrounds are very pale because of the mist. I took the pictures one late summer morning at Tsitsa Falls backpackers. The fourth picture is of hornbeam trees in the beautiful forest below Tureborg in Uddevalla, Sweden. 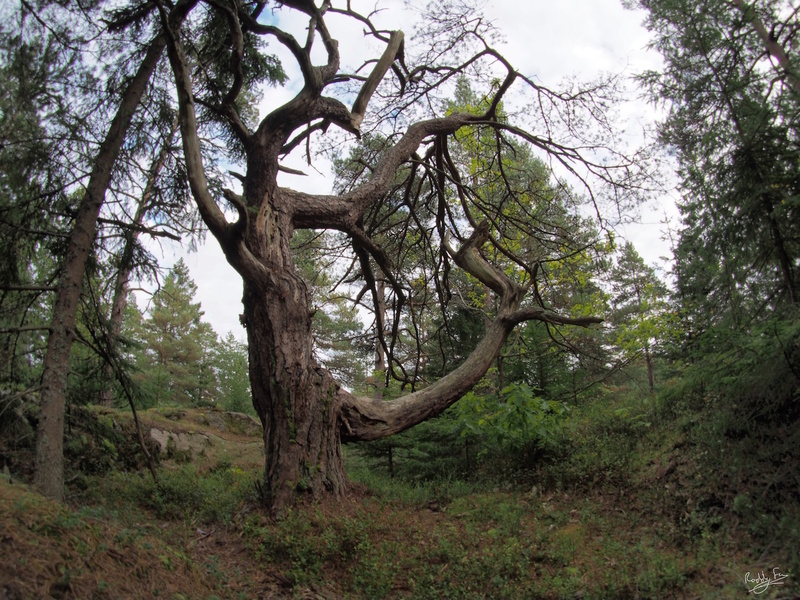 In this picture the curved shapes of the tree trunks are balanced by the branches and the shape of the valley sides. It complements the other three pictures nicely even though the subject is different. This post’s about the Dryad series. They are the seven images that make up almost a quarter of my exhibition – Symmetry – which is at the Carinus Arts Centre for the National Arts Festival from 29 June to 9 July 2017. I wanted to explore what happened when I placed a person into my images – rather than finding a Green Man or a fantastical pattern in them. I did that by projecting some images I’d prepared on to Natalie – she’s the dryad in the shoot – as she stood in front of a screen. When her back’s turned she becomes enigmatic with a big shadow playing across the forest. I must say that technically this was really tricky to do. Fortunately the mirrored organic shapes I’d chosen could be draped down her spine and that was really evocative. The next picture’s from the exhibition. It shows the filigree of a tree-like skeleton in/on her dryad body. Some time later I decided to mirror the dryad images and construct a triptych. 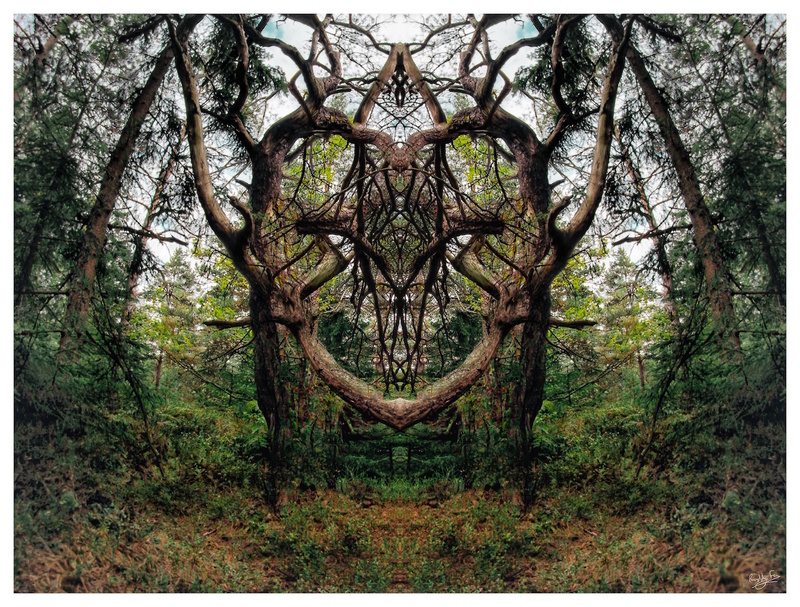 The two pictures here have the mirrored dryads on either side of the original. All of the pictures so far have shown a dryad within a scene but I also projected one of my favourite tree images on to her so she became the screen. In Scarab Dryad I love the way the tree branches burst out of her neck whilst a runic scarab perches on her shoulders. When I made the runic tree image smaller – so that it just fitted in her back – it makes the curved shape of an angel’s wing. You can see there’s a wing on the back of each of the mirrored dryads in the Angel Dryad triptych. The wings reappear as overlays in the original runic tree in the centre. The contrast of the burning wings on the slender body reminds me strongly of William Blake’s etchings. Lastly I did something quite fantastical. 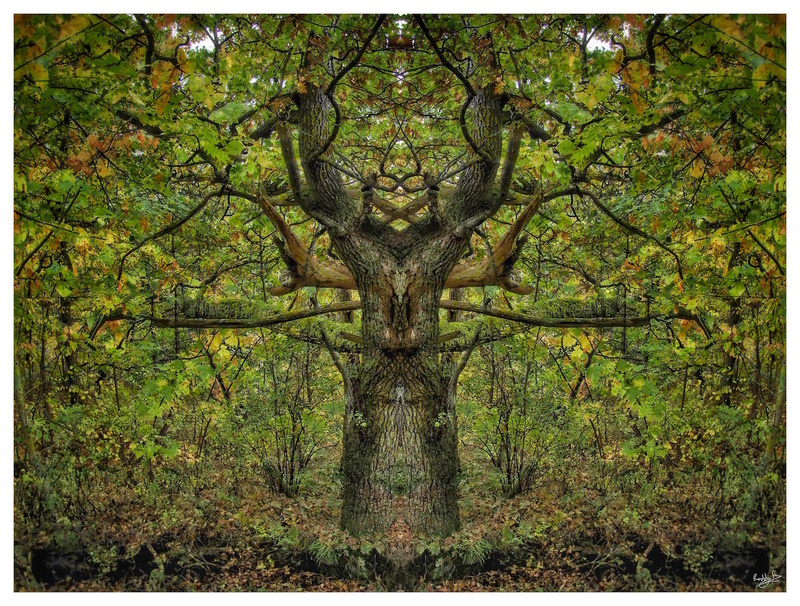 I made Dryad Fantasy by overlaying the runic tree with the Angel Dryads in a multiplicity of mirrored images. So it’s a re-composition of the originals: re-imagined shapes with new patterns and forms. I wrote about some of these pictures last year when they were still a work in progress. 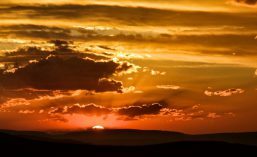 If you are interested there are more pictures and descriptions in these posts. : Triptychs 1: Stained Glass; Triptychs 2: The Figure in the Foreground; Triptychs 3: Angel Wings.